I always look forward to Christmas in July since I never seem to have enough time to make all the projects I'd like to at Christmas time. 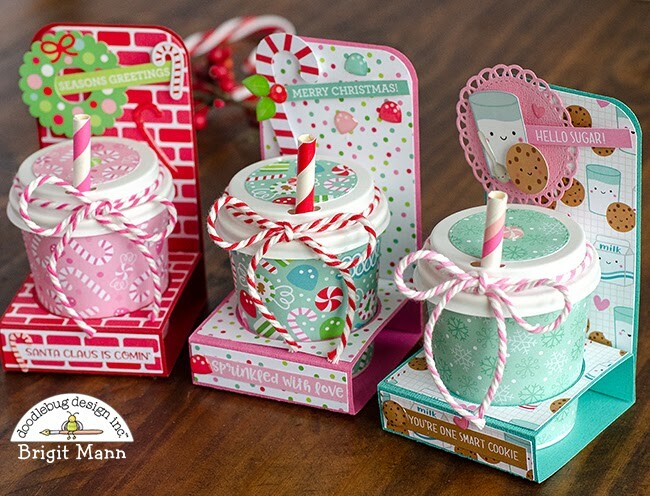 Since treat containers are one of my favorite things to give over the holiday season I made a couple of mini coffee cup treat holders using Doodlebug's Milk and Cookies collection. The mini cups I bought from Amazon here, they worked perfectly with the freebie cup holder svg I download from here, which I cut out with my Cricut Maker. I rounded the corners and added patterned layers to each holder before I assembled them. 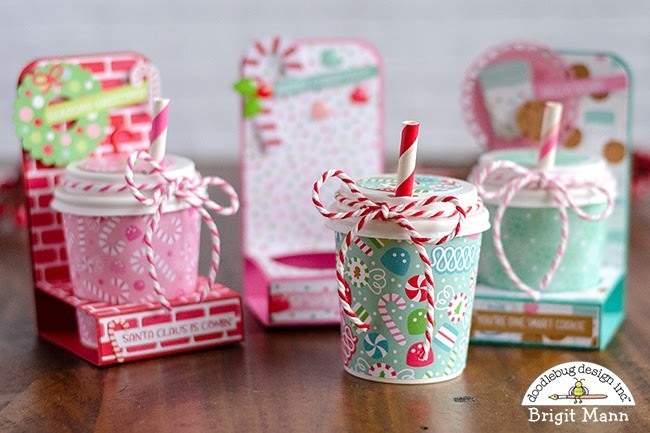 After adding the cup sleeve I added a die cut round circle to each lid a straw and some chunky twine. 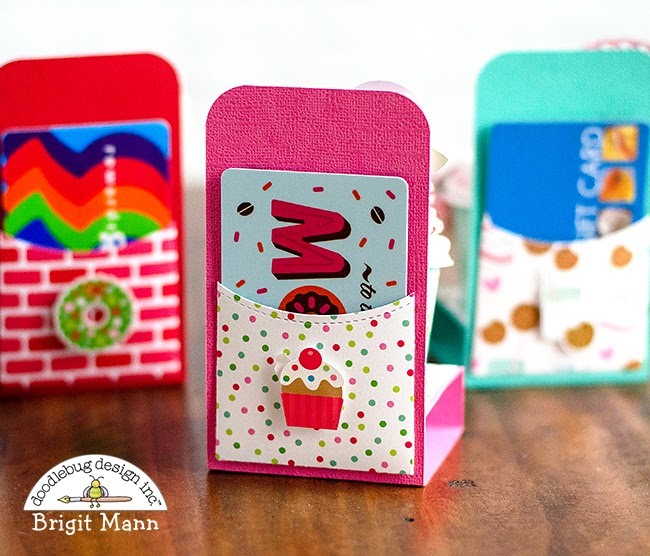 Instead of having the gift card in the front, I used a die to cut out a piece and glued it to the back of the holder, I didn't want to cover up the adorable Doodlebug paper in the front. These are just the cutest!!!!!! OMG! One of my all time favs!!! So cute! So clever!! I absolutely love these! You’re so incredibly talanted! I can’t wait to make these myself, only I can’t seem to download the SVG file link you posted. Would it be possible for you to send me the file and/or template ...? I would be most grateful! They are all absolutely adorable! 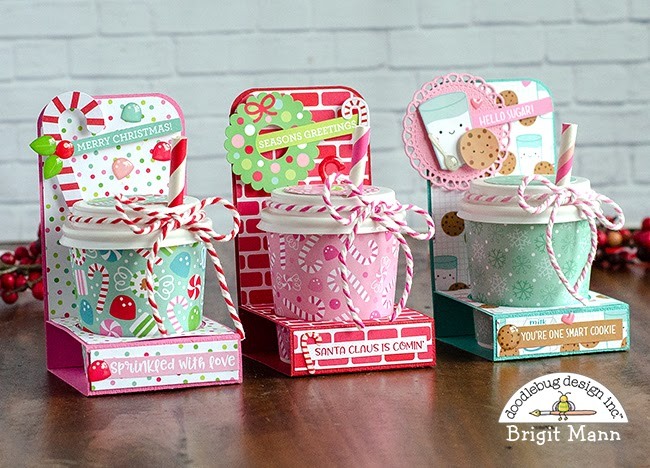 Did you use 12 x 12 papers for these projects? Excellent blog at Little Coffee Place, the same drinking water is within connection with the coffee, it has an inclination to cover the causes, stopping efficient extraction as with trickle coffee. You are able to counter-top this by mixing or even agitating the causes, but you can also make use of much more espresso to ensure much more tastes. I see no link for the freebie treat holder, was it only avail. A short time? Yes would like to get it if possible, thank you. It's still there, under the first photo it says download it from here, click on here and it will bring you to it.